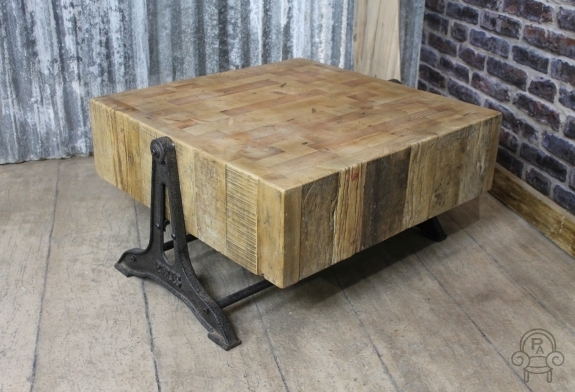 This excellent industrial style coffee table features a 100 year old reclaimed pine top and is a wonderful addition to our extensive range of vintage and industrial style furniture. 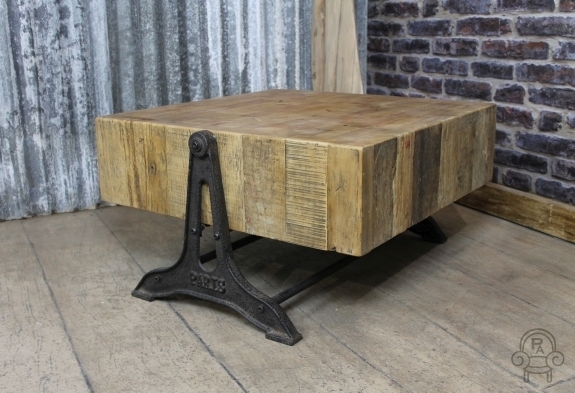 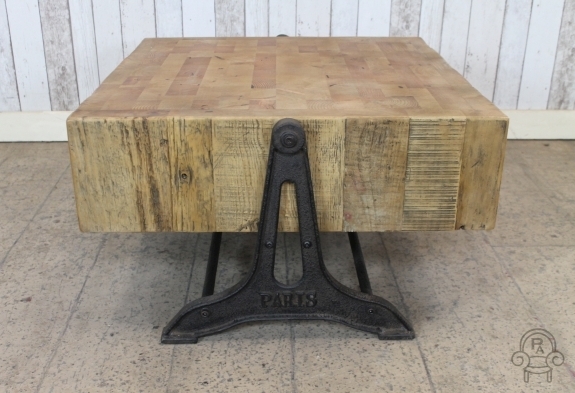 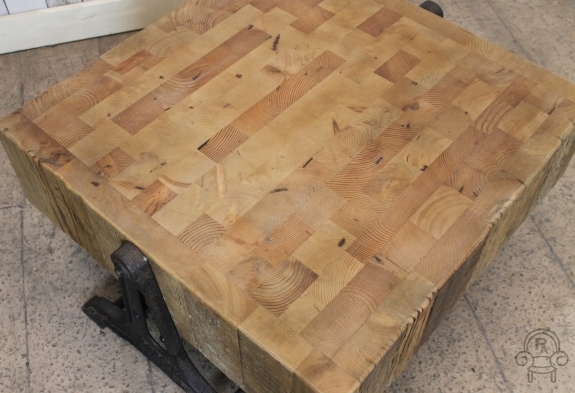 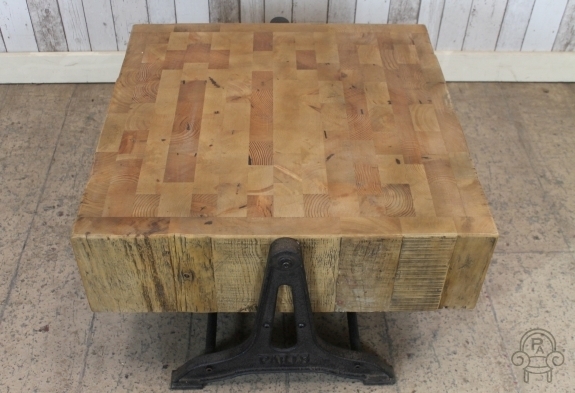 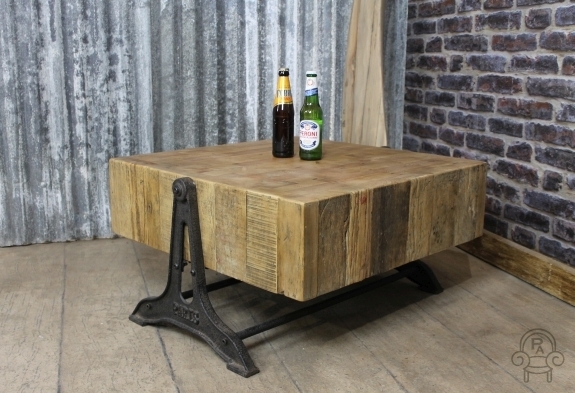 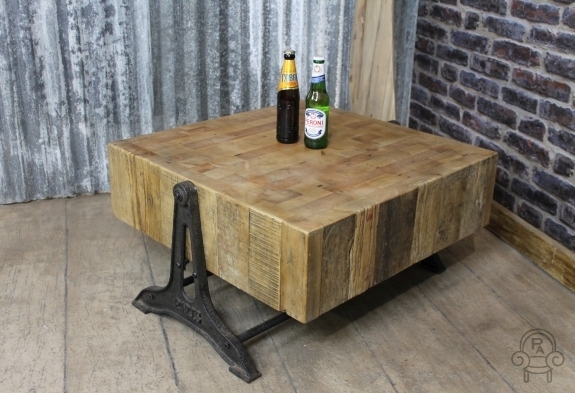 The retro industrial style coffee table is in the style of a large butcher’s block. 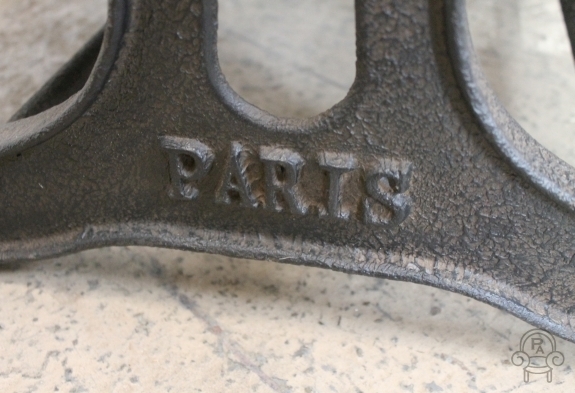 This table is low to the ground and features decorative ‘Paris’ text on the cast iron base, which adds to the industrial feel of this item. 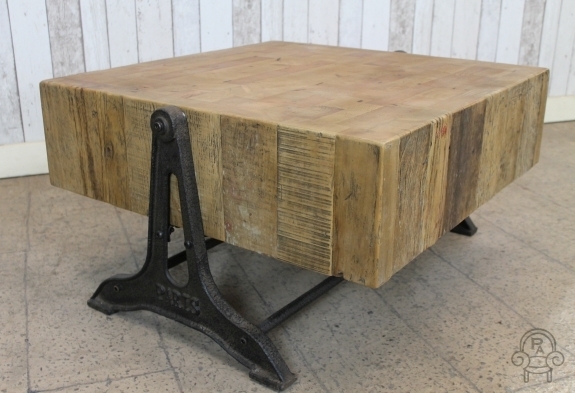 Be one of the first in the UK to own this wonderful piece of furniture, ideal for any retro or industrial themed interior.